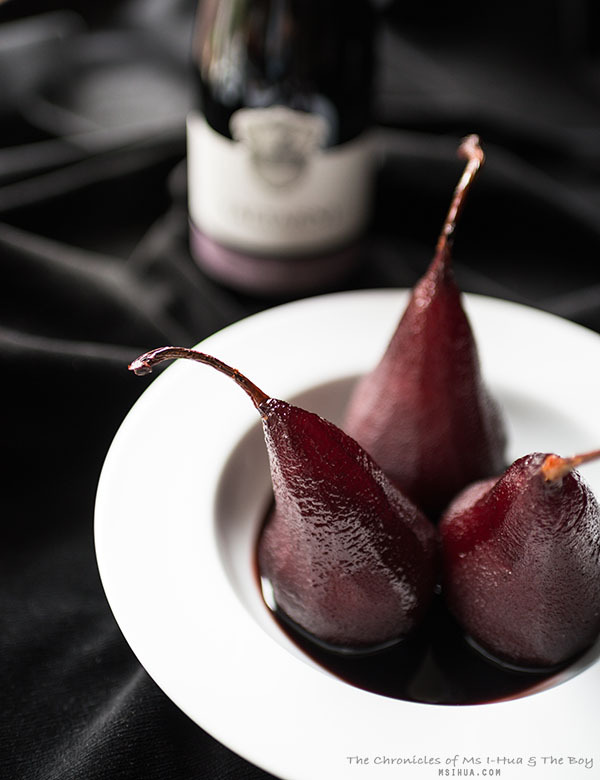 Poached pears! They are wonderfully beautiful to look at and so delicious to eat. 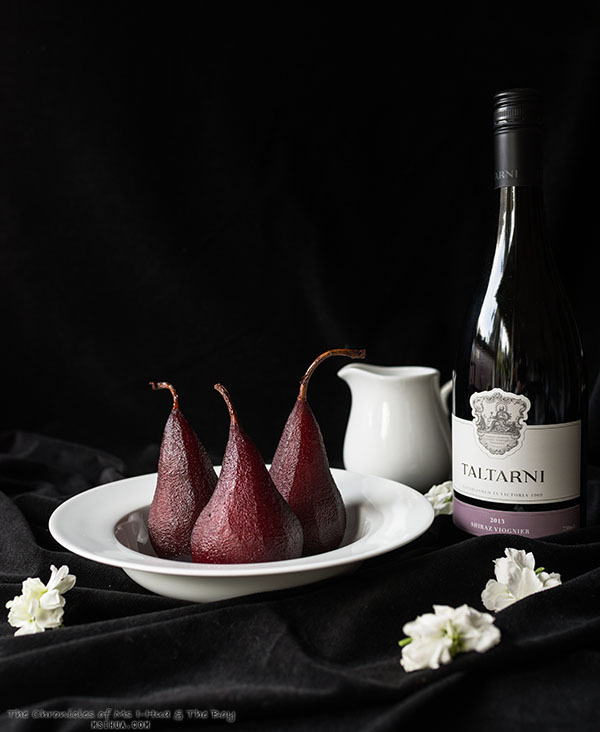 There’s just something so calming, charming, and traditional when poached pears are served. We find that we always have a few extra bottles of wine leftover when we have guests show up at our house. This is a great way to use up the remaining leftover bottles of red wine in the house (if there can be such a thing) and to turn it into a dessert! They’re also incredibly easy to make and it doesn’t take long at all. 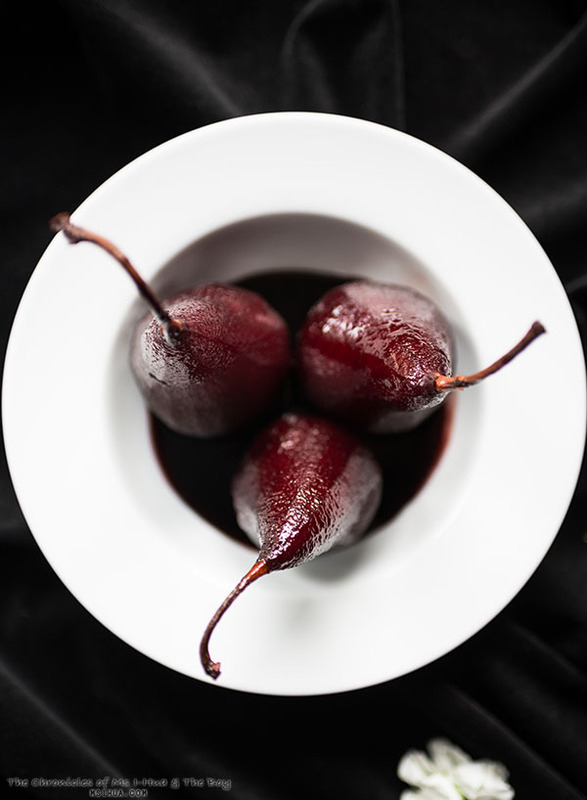 The best part of this recipe, is that the pears and syrup can be prepared in advanced and kept for up to 2 days in the fridge before serving up. You won’t even have to stress on the day you want to serve this up! With the mad Melbourne weather, this dessert is a good one to keep up your sleeve as its perfect in the cold or warm weather and you can serve it cold or warm as well. Enjoy! Wow! 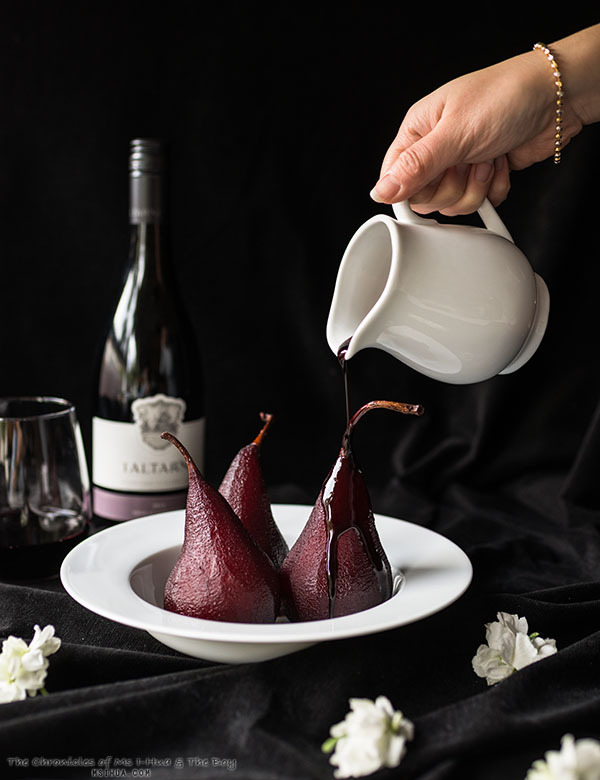 This is absolutely stunning and very unique dessert made with leftover wine. I will definitely try this dish out with Australian wine (as I love them) and would serve it whenever guests will be coming to visit us. Thank you for sharing this recipe. Keep up the good work!